End of the World? Not. Sales Post!!! and it's an auction. i figured i create my very first sales post! i found something pretty interesting as you will see below! 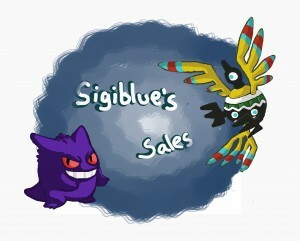 this is my first sales post so i'll just be auctioning a couple of items. despite moving in just 5 days!! this is one of the fastest big pickups ever organized with 150 dolls in just a few hours. 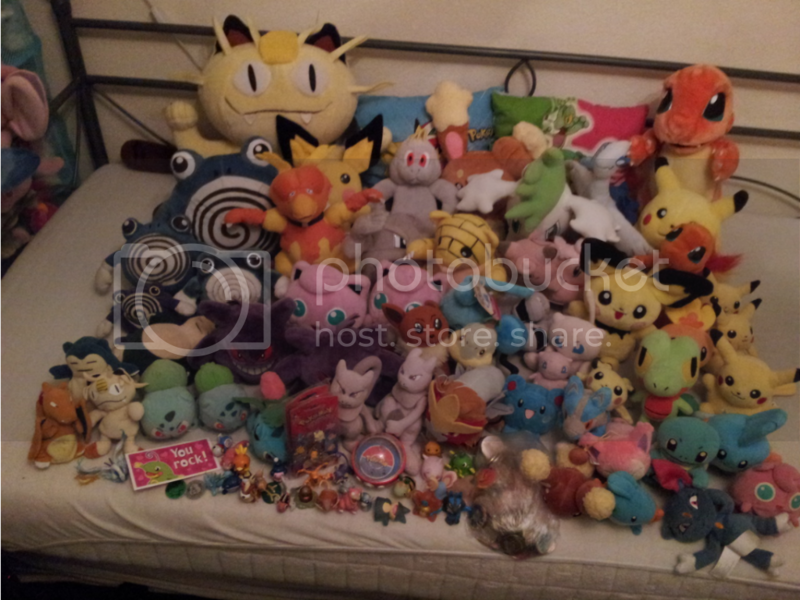 thank you all so much for letting me get your raichu and slowpoke dolls for you. i have dreamed of such photos!! now we are here!! THANK YOU COMRADES!!! now to get packing packing packing! i will have slowpokes, raichus and charizards up on sunyshore as soon as the move is finished and these are sent in about a week! Hi all, just a quick reminder that my plush auctions are ending in less than 24 hours. Please give these guys a nice home :). Click the pic to be transported! I've been looking forward to this for a while, and now finally it's time for my first real community post! I know I'm psyched. I've been a fan of Pokemon since Red and Blue, and I love hunting for shiny Pokemon in particular. 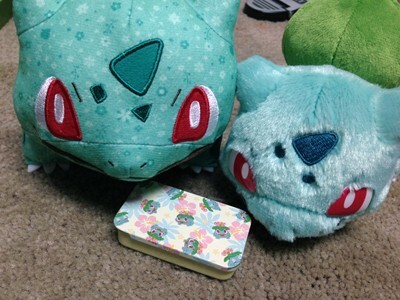 I did most of my collecting back when I was a kid, when Bulbasaur was my most favorite Pokemon. Around two years ago, I found the community and started collecting some ekans/arbok merch, but for the most part I've just been lurking around. I received a lot of new gets (almost all of them thanks to my siste kitzune >_>) recently so I figured now's as good a time as any to post pictures. I love snakes, so a lot of my favorite Pokemon are snakelike. I'm particularly fond of poison types, with Scolipede being my #1 favorite Pokemon. 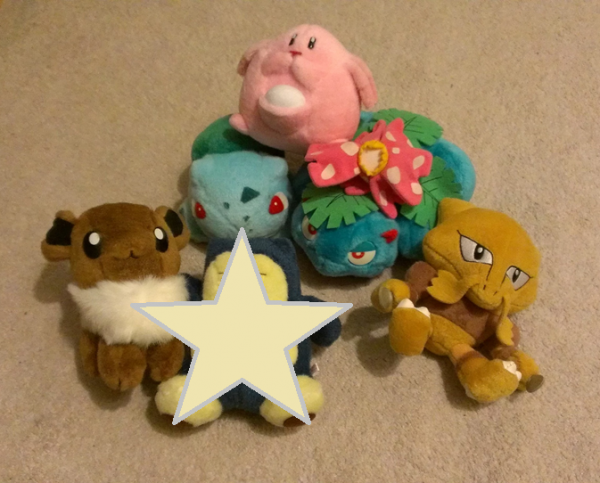 However, my 'saur collection is probably my most extensive at the moment and I still like them enough to get more stuff for them. 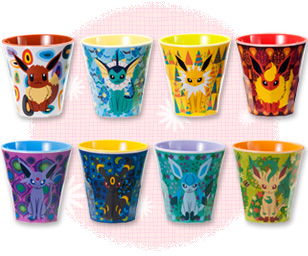 I also love Reshiram, Umbreon, and the Litwick line. Right now my collection doesn't have a whole lot of cohesiveness, but I'm really happy with my new gets in particular. 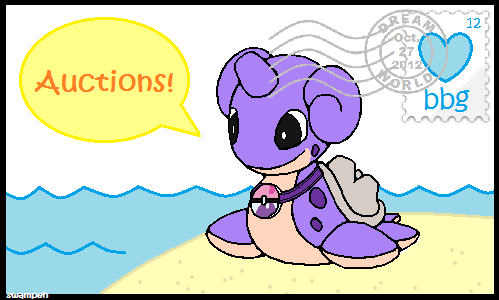 And my Bulbasaurs must be happy about it, too! Particularly the part where they finally get some room to relax and enjoy their mints without an army of Chillarmies stealing them. Okay, I think that's good for an introduction. Let's move on to the pictures, shall we? I can't thank Kitzune enough for all she's done to help me, including taking these pictures. I am so happy with all my new gets, and it's all thanks to you! I've got the bestest sister around. One of my nephews recently expressed his love of salamence, so I decided to get him some salamence merch. Also, for those who have bought zukans from me, incase you havent seen, all of the packages went sent out (unless I have contacted you otherwise). 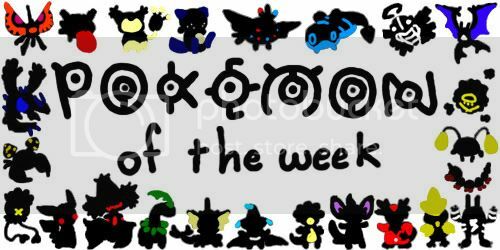 Welcome to Pokemon of the Week! Let's see who this week's pokemon is! #652, Yamask!! Which also includes Cofagrigus. 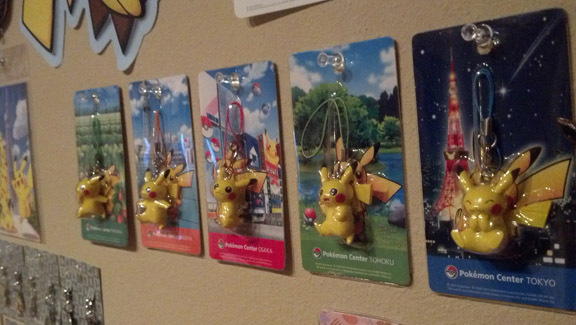 :D If you collect these pokemon or have any items of theirs, post your photos here!! No matter, I've bitten the figurative bullet and went and purchased this beautiful man card! I couldn't find anything reasonable on Ebay, so I went and bought it through White Rabbit Express and Y!J. It still came out cheaper than anything on Ebay (just shy of $40 in total), so I'm one happy camper, haha. 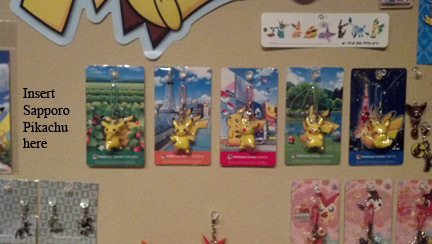 Also, I just received my beautiful charms from irethsune! I got three in total; Empoleon, Lanturn, and Altaria, and they are wonderful! That's about it for now. I still sadly haven't gotten my collection of cards out, despite my resolution to do so. Perhaps in the new year? Today is exactly 3 years ago that I joined the community. I've come to celebrate it with a big collection update! Thanks everyone. =) Next post I'll try to post some pictures of my whole collection. I like those kind of pictures. So, yeah. My new permanent sales post! Come take a look. :) I have tomy figures, retsuden stamps, flats, some welches jars and more. Ok. I am starting to think this item doesn't exist. Mainly because I have never seen it! I have seen the clear file, charm, sticker and ballpoint pen, but never the item I am looking for!! Why is this so hard to find?! I can't even find a picture of it! Merry Christmas everyone! Hope it's great <3 <3 Be careful traveling! Threads are up, let the bidding begin. As per GA Rules bidding has been extended due to continued bidding in last 2 minutes. Will note here when bidding closes. We won! Payment #1s are being sent out today. I have sent payment to the seller. They are shipping from the Netherlands, so it should arrive in 4 to 6 weeks. Collection Update: Random stuff, customs galore, a squeaky grail + wants! Hey everybody! First off, as of a week ago, the Squeaky GA is pretty much finished! Sorry about how long it took, but I do hope you guys enjoy your items~ feel free to ask questions if you have any. Now that that's outta the way, I come bearing a small collection update! 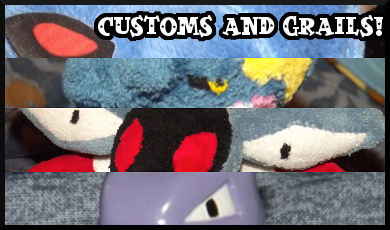 Featuring a couple random gets, 'Vee plush, a handful of custom plush, and a squeaky purple dinosaur! Looks like I haven't posted some wants for quite a while now… Here's an updated wants list. ;D Feel free to show me anything pertaining to my collections, it doesn't have to be on my wants list! Basically, I'm looking for fossil merch, Deino-line merch, Scyther merch, and Metagross merch! Specifics can be found at the link above. COME ON GUYS LET ME SHOWER YOU WITH MONEY. :U I obviously won't be able to purchase everything on there, but I'd be happy to check out whatever you've got. And that's a wrap~ hope you all have a very merry holiday season! Eeveelu Tumbler Group Buy - Payment 3! Hi everyone, payment 3 totals have been determined! This covers shipping from atlantia_rai to you. She decided to ship all of the tumblers in boxes, so they won't get damaged. This has made the costs a little higher, but will keep your tumblers safe as well! Also, several of you are combining shipping with items from atlantia_rai's sales post; the shipping totals in the spreadsheet are for that combined shipping. Thanks for participating in this group buy with us! I just got back from our Christmas trip in Florida, and visiting my boyfriend for his birthday. ; v; It was quite the adventure. Not too many pictures tonight, so tired.